In business, it is important to keep a reliable record to continue to strive in this market. Especially if certain businesses are in need of some assistance from investors and loan creditors, you need proof that you have the financial position and performance to be able to provide revenue and that there is no proof of fraudulence in the company. Accounting templates and auditing templates can help in proving your company’s credibility along with proof that you are able to continue to perform well in the months to come. Written in the opinion of an auditor, these Audit Report is an essential report for firms, especially those who are regulated by the Securities and Exchange Commission (SEC) as these are required by law. 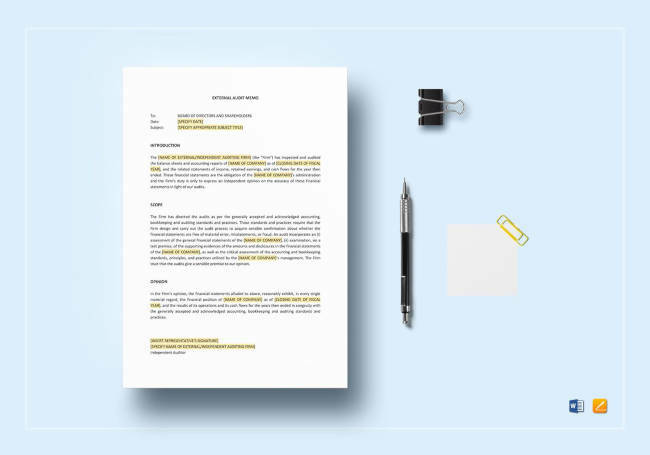 The details of these report templates include the assets and liabilities of the establishment as well as the auditor’s educated evaluation of the company’s financial position and its prospective years to come. 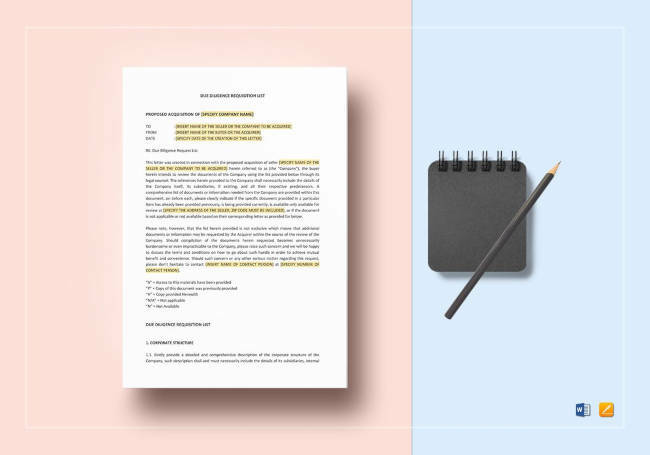 As authorized by the generally accepted auditing standards (GAAS), the report is written in a standardized format but is allowed certain deviations which are dependent on the circumstances of the audit work in which the auditor employs in. 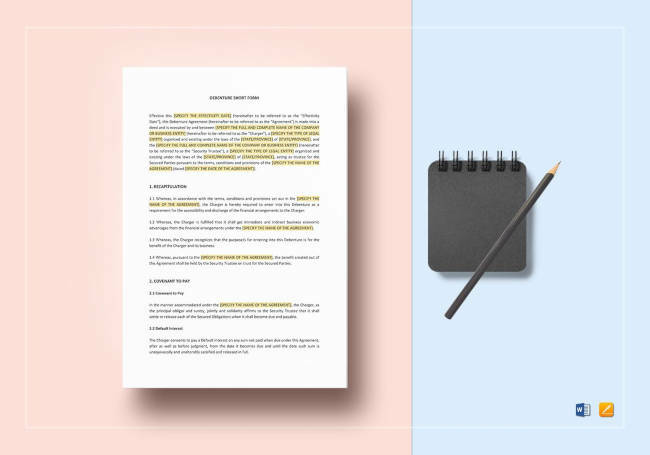 There are four types of audit reports: the unqualified opinion or clean opinion, qualified opinion, adverse opinion, and the disclaimer of opinion. All of these reports base their standards on the Generally Accepted Accounting Principles (GAAP), with having the unqualified or clean opinion as the best type of report a business can receive, and adverse opinion which is the report an establishment would like to avoid as this is often an indication of fraud. This template allows for auditors who are employed by the company to review the company’s operational efficiencies, which boosts and adds value to the organization’s operations. Internal audit reports aid businesses in attaining its goals by applying an organized, disciplined method for evaluation and develops the efficiency of managing risks, and governance and control practices. Internal audit reports also check the reliability of financial and management reports and the company’s compliance with laws and regulation. Committed to provide honesty and accountability, these templates provide value to senior management and governing bodies as an open-minded source of independent consultation. This template allows you to inspect and check-up on inventory changes appearing from the completion of certain activities in the warehouse. It also allows you to track adjustments to item or location inventory, inventory revisions or a combination of these. Inventory audits analyze the firm’s inventory procedures and affirms that the financial documents and absolute physical count of products is approximate. As the auditor or financial manager, inventory auditing also allows you to review certain points; money invested on inventory, presence of hardly used stocks, verifications of inventory records, safety stock levels, documentation of policies and regulations, etc. 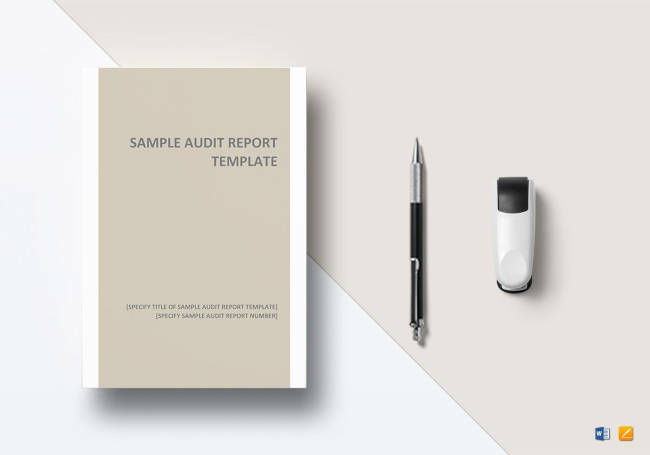 An audit investigation report template is used by forensic accountants with particular expertise in both accounting and investigation as they aim to expose fraud, unaccounted budget, negligence and/or impropriety. Inspection and examining of accounts and the utilization of accounting procedures are involved in investigative auditing to discover financial inconsistencies and to track the movement of funds and assets in the business. Other objectives for this report include damage assessment and prevention, determining the suspects, identification of financial activity, and tracking of the financial assets. To complete the audit process, an Audit Memorandum is necessary and is the last step. Included in the audit memo is the summary of each phase of the audit and allows the reader to recommend changes that will conclude in the improvement of accuracy of the establishment’s records and their profitability. 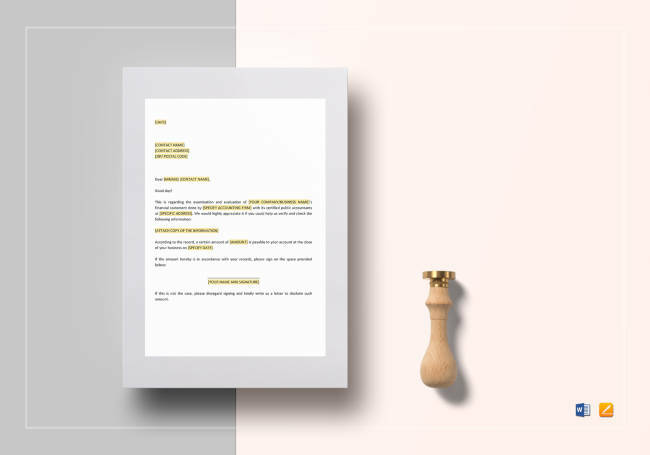 Although extensive knowledge of the business and keen attention to detail is essential in writing an audit memo, there are tons of memo templates that are available online in guiding you to create the audit memo you are in need of. Also referred to as an audit planning memo, this template points out different focuses such as information on the client; their sector, if their enterprise is in an increase or decrease in cycle, and relevant facts (pending lawsuits, new management, etc.) Also taken into consideration is their risk assessment; if the establishment is privately or publicly held, existing creditors, specialization, or if new management has been appointed. It is also essential for an audit memo to include the company’s materiality and the procedures taken for assurance regarding capable and satisfactory work and testing are established to minimize the probability of material misstatement on the audited financial statements. This template draws all the particulars regarding planning an internal audit, created by the company’s in-house auditor. Included are the members of the audit team and their duties, internal audit’s length of time, venue of the internal audit, business hours of the establishment, key contacts, internal audit scope and approach, intangible goods and/or services, high-level work program, and high-level work schedule. It must be necessary for the internal audit memo to be completed as this is part of the initial audit planning process and it aims to display and boost the efficiency of the audit. 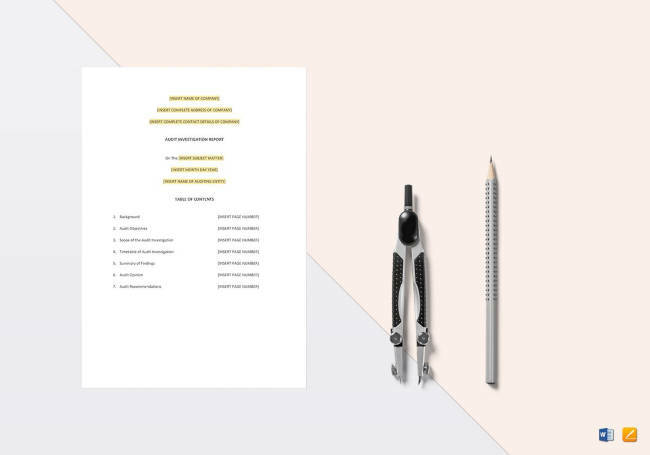 Prepared by an independent auditor or an auditor employed by an outside accounting firm, this external audit memo template refers to the specifics with regard to the planning of an external audit. Included in the document is an introduction which explains the standing of audit, a summary of physical audit, its details and whether there are missing or more items than what was expected. Other matters include an explanation on how the bookkeeping needs improvement, commentary on the financial difference between physical and book inventories, and a description on the financial ramifications of the outcome of each contract. Labor audit and a complete look at its productivity is also recorded and finalized with a summary explaining where the company can improve upon. 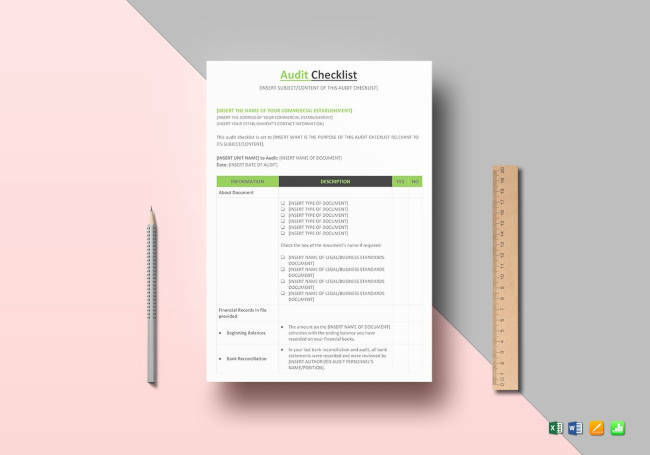 These checklist templates support the auditing processes whether they are external or internal audits. Though these are not a necessity in management system standards, they act as one of the many tools auditors use to execute their duties. 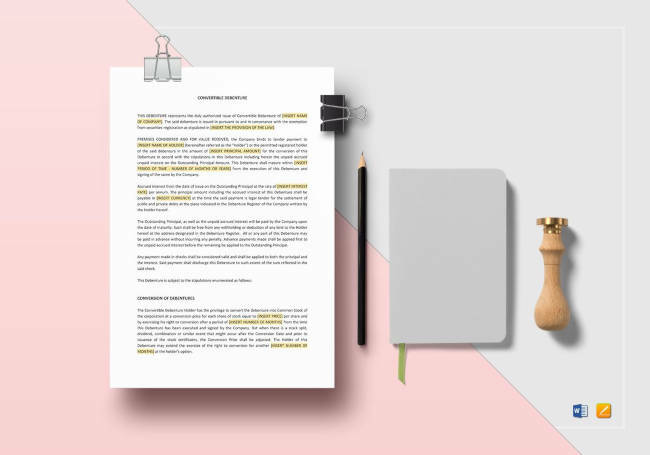 These checklists are used by many businesses to guarantee that the audit will highlight the qualifications as stated by the scope of the audit. An audit checklist template is an essential factor in preparing and fulfilling a process audit. It is composed of a group of questions acquired from the quality management system standard qualifications and any process documentation planned and created by the firm. When used correctly, these checklists promote planning for audits, ensure a consistent audit approach, act as a sampling plan and time manager, serve as memory aid, and provide a repository for notes collected during the audit process. 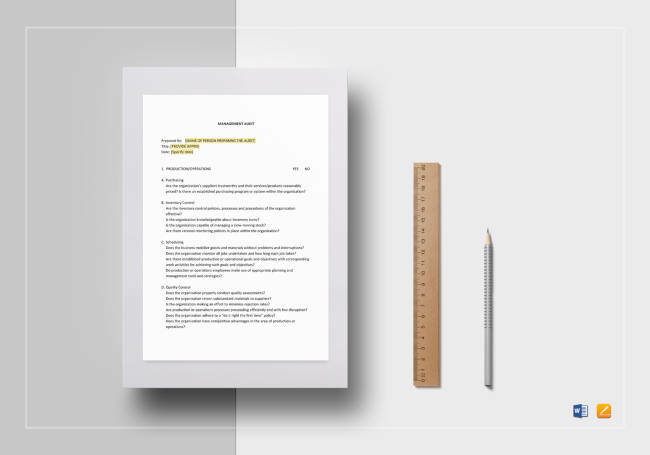 This template is a performance-based internal control for the business in which the goal is to assess the outcome of management policies and procedures on the productivity and efficiency of the company. This also helps an establishment ensure that the audit covers the required aspects in line with the management of the company. To determine the legal compliance, its effectiveness and competitiveness, employee salaries, bonus perks, incentives, and stock option programs must be audited every year. 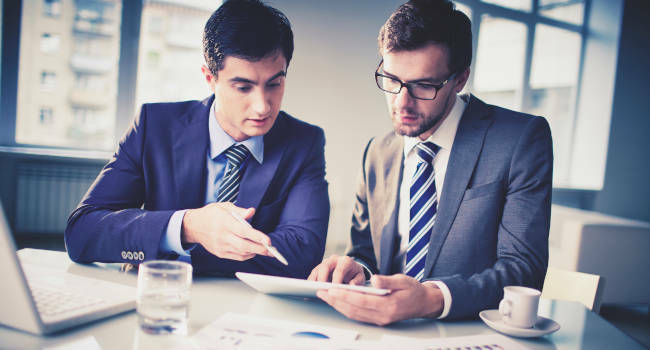 The objectives of this template, include inventory HR-administered employee benefits plans/programs, analysis of compliance with policies for employee benefits, review benefit expenditure process to understand payments to employees and others, auditing of benefit accumulation, and reporting and authorization developments. A crucial auditing concern with accounts receivable, or money owed to it a company by its debtors, is if the budget written in the customer’s subsidiary ledger conforms with the correct customer balance. This template is used to confirm that the amount reflected in the accounts receivable are accurate. As an auditor, your duty is to approve that the transactions depicted in accounts receivable are authentic, the money remaining in the debtor’s account is correct, and that all uncollectible accounts have been suitably written off. When a shareholder/s has agreed to acquire a certain amount in shares with a target company and has signed a memorandum of understanding but does not have enough knowledge on the financial standing of the target company, the shareholders can request for an investigation called a “due diligence” process. This process helps the investor accomplish a cost-benefit analysis of whether the investment is advantageous. 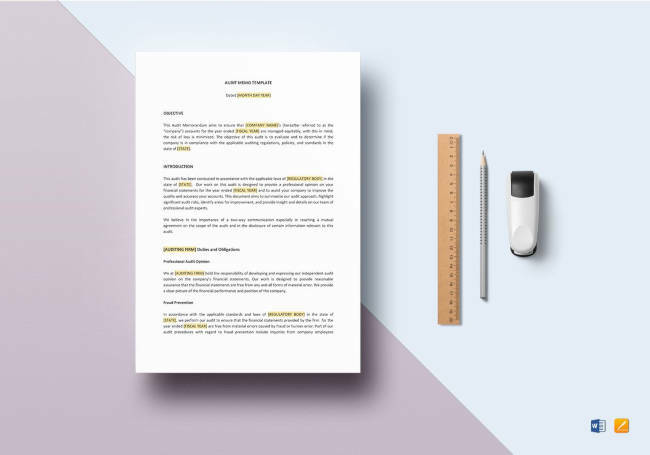 This requisition list template allows for the target company to prepare the documents the investors will require in order to help with the investigation. 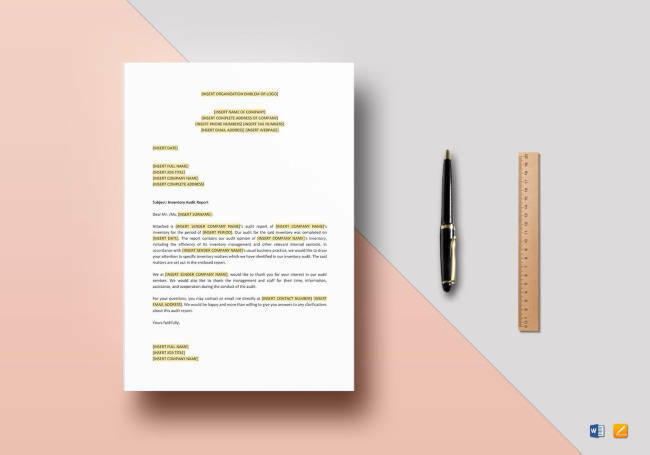 With the help of this template, you are now able to request for long-term debt formats in which large companies can use to borrow money can now be easier. Probably the main benefit of debentures to an establishment is due to the fact that the interest rate is lower and that you may repay the debt at a date far off in the future. For investors, they are also quite easy to trade in stock exchanges and include less risks than other options. This template aids in issuing a loan by a corporation that can be converted into equity shares after a stipulated time frame. They are more attractive for investors because of the converting capabilities and the loaning company find that they have lower rates than non-convertible corporate bonds. It is just up to the agreeing parties if they would like to agree on a fully convertible debenture or a partially convertible debenture. 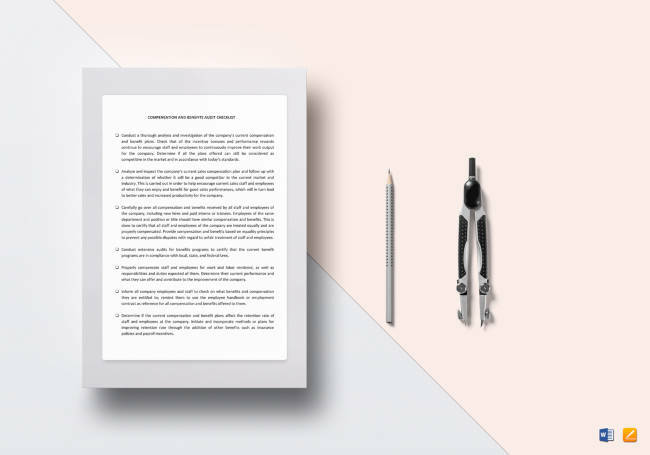 In conclusion, these financial documents and bookkeeping templates are essential for a firm in order for the continuity of reliability in a company. When you have shown legit proof of your comfortable and dependable stance in the market, investors and interested shareholders may invest their resources. This allows further development of your once small company into a powerhouse establishment that can sustain the vision you want to pursue. 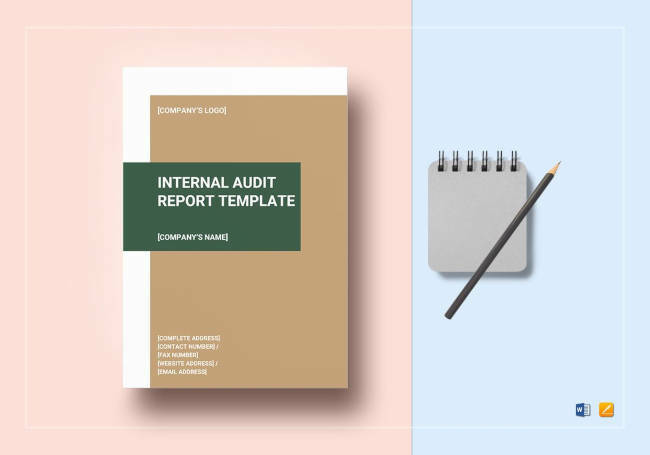 It is hoped that with the help of these templates, managing and organizing your audits can be a breeze and will provide indefinite use in your office.